Tuberculosis is a global health threat. Newer tools to test for the disease are already in use, changing the landscape to ensure the disease is caught earlier and that treatment begins promptly. The Conversation Africa’s Health and Medicine Editor Joy Wanja Muraya spoke to Prof Gunturu Revathi on what’s holding Kenya back in its efforts to manage the disease. What is the burden of tuberculosis in Kenya and in Africa? Today tuberculosis is found in all parts of the world and is listed among the top ten causes of death. Africa needs to take TB more seriously. About a quarter of new tuberculosis cases, 26%, occurred on the continent in 2015. Kenya remains among the 14 high burden countries with TB and HIV co-infection and the drug resistant form of TB. Although the number of TB case notifications has been decreasing annually, the country still faces a major challenge in bringing it under control. What are the challenges in diagnosing tuberculosis in Kenya? 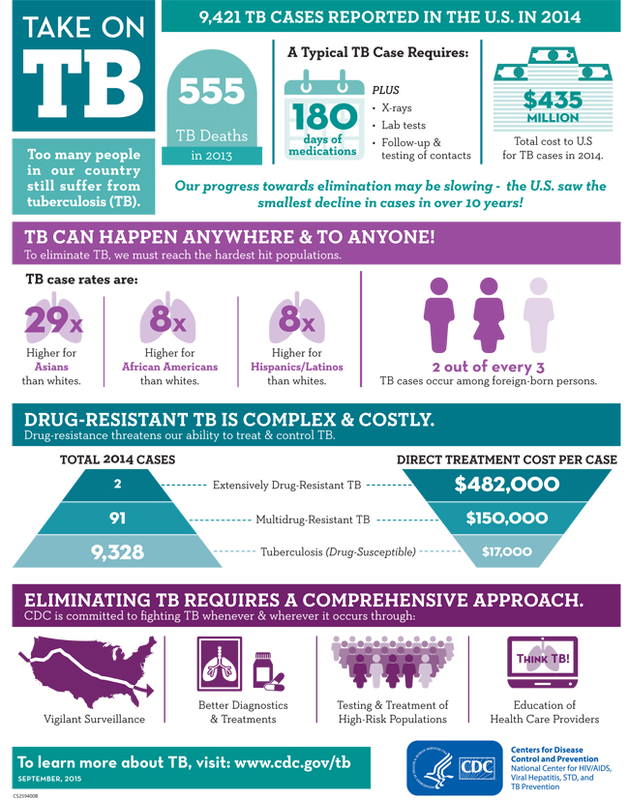 The first gap revolves around the fact that TB is still hard and complicated to diagnose. The challenge with diagnostic testing is that all the tests are “rule in tests” but not “rule out tests”. This means that if the test is positive TB diagnosis is confirmed. But if negative, TB can’t be ruled out and other methods of diagnosis – like X rays – must be used. A 2016 Kenya TB prevalence survey ( unpublished MOH data) indicated that we have more TB cases than we thought. We found an estimated new case burden of 512 per 100,000 population against the WHO reported 266 per 100,000 in 2015. This means that we did not have the real picture of Kenya’s actual burden of TB due to the gaps in availability of diagnostic and clinical care services and scanty social and nutritional support. In addition to this, testing children for TB isn’t easy – testing children poses unique challenges. Until recently tuberculosis management programmes lived under the mistaken notion that children dont transmit TB . But today TB in children is recognised as a global priority and national initiatives are focusing on it very seriously. The heart of the problem is that children don’t produce sputum and even when they do, TB bacilli are scarce in it. Sputum is a thick fluid produced in the lung tissue. It’s tested to detect and identify bacteria or fungi that infect the lungs or breathing passages. A sputum test is the most common investigation to diagnose the common form of the infection in the lungs called pulmonary TB. In very young children a tuberculin skin test can also be used to diagnose TB. Children and HIV infected people with TB in high burden countries usually develop a pneumonia like illness or lymph glands infection in the neck. Chest tuberculosis, also known as pulmonary tuberculosis , is diagnosed can be diagnosed early by a well-trained doctor conducting a history and chest examination. This can be confirmed up by a sputum test as well as a chest X-ray. It’s standard practice to get a lab diagnosis of tuberculosis by sputum smear test or a rapid molecular detection test called Gene Xpert / MTB . If these tests are negative, a chest X ray may be used if TB is strongly suspected. Patients strongly suspected to have TB on clinical grounds should be closely followed up when they test negative in the lab. How can TB be diagnosed and managed better? Follow up tests are critical to catch the disease in its early stages when it’s most active. More importantly, we need to improve the diagnosis of TB when it occurs in organs other than the lungs. This is known as extra pulmonary tuberculosis – like the abdomen, skin, joints and bones. This is quite common in children and people living with HIV . These cases need expert methods to confirm diagnosis. These include fine needle aspiration – the removal of fluid or cells with a thin needle to test for disease – and cytology examination – the examination of cells. These can only be done by trained specialist pathologists. Another that needs expertise is tissue biopsy where a sample of tissue is taken from the body to examine it more closely under a microscope. In addition, advanced radiology examinations like ultrasounds and CT scanning may be necessary. Kenya has a shortage of specialist doctors as well as the equipment needed for all these advanced tests. The country’s healthcare infrastructure has to improve its capacity in these areas. What challenges does Kenya face? In Kenya, we are already fighting the battle of managing both TB and HIV. Increasing number of diabetic patients who are vulnerable to TB, is adding fuel to this fire. One of the big challenges is that there are a lot of children and HIV infected people in Kenya who have latent TB . This means that the person is infected but the infection is dormant but can surface any time. The only way this can be diagnosed is through a skin test or an expensive blood test. Although a skin test is available in Kenya, the blood test is expensive so it’s used only in private sector and not available to the national TB program. Kenya also doesn’t have enough laboratory capacity to manage infectious diseases as a whole. This means that confirmed diagnosis of suspected TB or several other infections may not be done and patients get blind treatment without specific diagnosis. This leads to a lot of unnecessary excessive antibiotic use and increasing antibiotic resistance in the communities. The major clinical challenge is that a large number of people now suffer from respiratory allergies. This is due to consistently increasing environmental pollution . These allergies lead to a chronic cough and mild fever in all age groups, posing a challenge for doctors trying to distinguish between asthma and TB. Lot of sputum tests and Chest X rays are repeatedly used in these patients due to suspicion of TB. What’s on the horizon that can help the situation? Recently, universal primary anti TB drug sensitivity tests have been recommended by the WHO. These tests are only available in the National TB Referral lab. They need to be made available in more hospitals and clinics in Kenya. But the most important aspect of TB control is effective case management and achieving high cure rates. A recently published study shows that in high TB burden countries, the quality care in public and private sectors is significantly below international standards. National programmes have to launch quality management plans urgently by investing more in TB control to meet post-2015 targets for care, control, and prevention. . The overall control and management of lung diseases is of the utmost importance.